Whether you want to improve your vocabulary or enter a medical profession, you can find an online Latin dictionary to help you reach your goal. 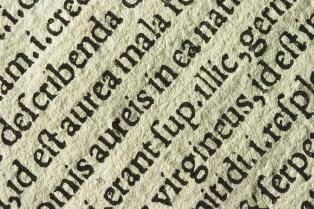 Latin is a root of most of the Western languages spoken today, and is still used in many of the sciences (notably medicine and taxonomy) and law to create new words. It can be immensely valuable to understand Latin, at least the roots. One of the best, and oldest, Latin dictionaries online is the Chinese University of Hong Kong's Humanum Latin Dictionary. This unique online Latin dictionary has been available since 1995, and currently has a very good lexicon available. The search field will accept both Latin and English words, and allows for misspellings and other errors. It takes some playing around with, but once you get used to it, it's a very good dictionary. You can find another good dictionary at the University of British Columbia's Sunsite Latin Dictionary. Available as a java application or just a straight listing that you can search with your browser, this gives you your basic Latin vocabulary. If you want to build your Latin vocabulary by understanding Latin roots, you can try the University of Notre Dame's Latin Dictionary and Archives. This dictionary allows you to search for common Latin roots, and returns a list of words in Latin sharing that root, with definitions in English. For example, "belli" returns "bellicosus", "belicus", "belliger", "belligero", and "bellipotens." By far, the most obvious influence of Latin on English is found in medical and legal terminology. Pubmed Central, provided by the National Institute of Health, provides a good online book focused on Latin roots and influences on medical terms. And at Wikipedia's List of Legal Latin Terms, you'll find a nicely hyperlinked listing of legal terms and phrases you can click on for a complete explanation. The Special Dictionary's Latin Phrases Translator holds an alphabetical list of different phrases we still use today that are actually Latin. Every wonder what antes meridien means? You can look it up here. LatinTests.net has a number of self-guided tutorials with grammar and vocabulary on which you can test yourself. And if for some reason you need to know French, German, Italian, Spanish, and Latin translations for the same word at the same time, you can find it at Word Reference. Fore more useful information about similar online dictionaries, don't forget to check out the following LoveToKnow Online articles.